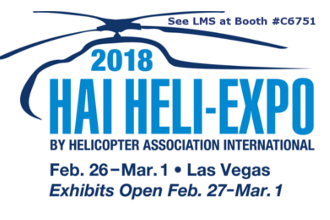 Liquid Measurement Systems (LMS) will be exhibiting at HELI-EXPO 2018 in Las Vegas from February 27th – March 1st. LMS has provided fuel gauging systems for rotary and fixed wing aircraft for more than 25 years. LMS designs, certifies, and manufactures primary and auxiliary gauging systems, which incorporate and support both crash-worthy and crash-resistant design safety features. Visit us at Booth #C6741 and ask us how we can help design your aircraft’s gauging system.